Philby, the agent, double agent, traitor, enigma revealed all to Knightley just before his death. Few knew the real man behind the impenetrable facade that for years fooled British Intelligence, the CIA and the FBI. After he defected to Russia in 1963, he maintained a code of silence for 25 years - until a few weeks before his death. 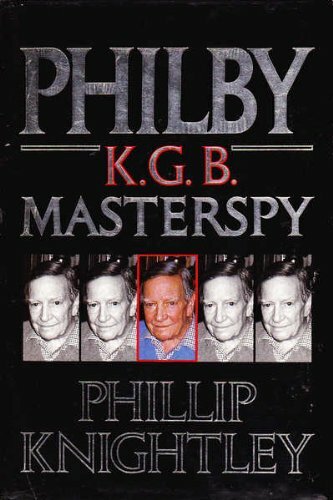 He invited journalist Phillip Knightley to his Moscow apartment and in six days of conversation he bared his soul as never before. he told of his childhood, the influence of his extraordinary father and the events that lead him inexorably to turn traitor. He tells the story before and after defection and gives his veiws on everything form loyalty and patriotism to pop music and Margaret Thatcher. Be the first to write a review of Philby!